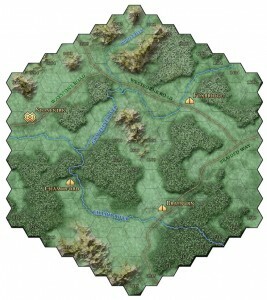 Greg Christopher says this hex image was inspired by reshares of something I posted the other day on Google+. I’d like to know what it was that inspired him, so I can do it again. 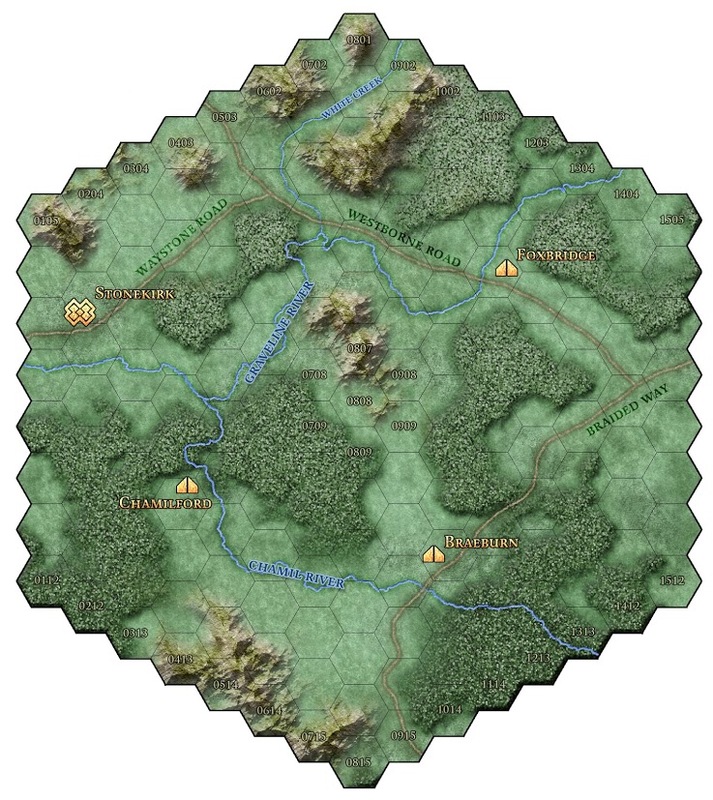 A detailed view of a six-mile hex, I see a mix of terrain (forest, ‘rocky hills’ (roughly half a mile per smaller hex), streams and roads, and four villages. This looks incredible. I would dearly love to have a set of these for use in a sandbox. Hrm. It appears they won’t quite tessellate perfectly the normal way (point to point), it will be necessary to offset ever so slightly so the edges will line up properly. I can live with that. I’ll beat my OCD down and put it in a box somewhere. … though that may problematic right now. We’re moving house in three weeks and almost everything is in a box right now. I might never find it again, because it’s my OCD that causes me to label the boxes! But that itself might be a good thing. I’d hate for one of my kids to open that box, though.